Psy—yes, one of TIME’s most influential people—is releasing his next single “Gentleman” at a concert at World Cup Stadium. Even if you can’t make the concert, he’ll be streaming it live via YouTube. Reflecting Psy’s newly won status as a global superstar, the world media is already focusing its attention on the event. 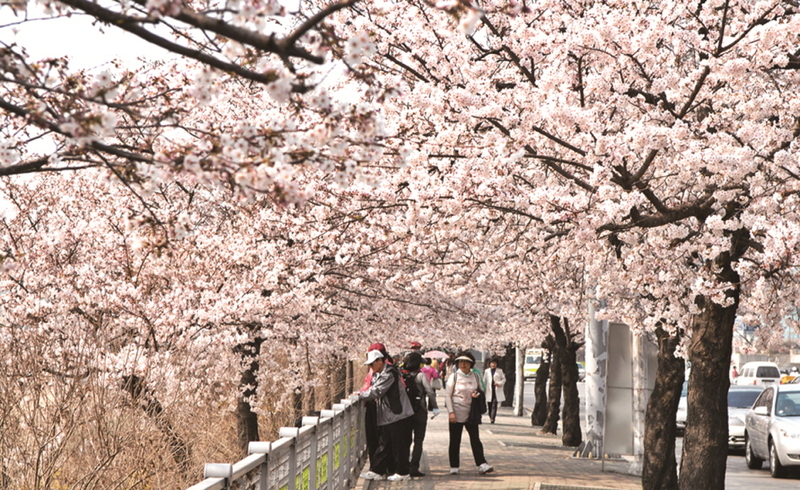 The annual Yeouido Spring Flower Festival is set to return Apr 12–18 when 1,700 cherry trees erupt into magnificent clouds of pink. The spring’s spectacular show gets under way along the 1.7-kilometer-long street behind the National Assembly building. At night, the cherry blossoms are lit up with various colored lights. A wide range of street performances such as mime and modern dance as well as art exhibitions also take place. North Korean BBQ diplomacy in New Jersey. Korean-language broadcasts are a hit in Nepal. 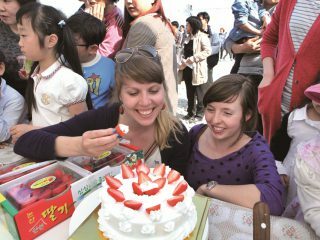 Two adopted Korean twin sisters have found each other via Facebook. “Gangnam Style” has been a boon for Korean fashion designers. An editor worries about the future of the coffee industry. Misty mountains and a lone highway in the Suritijae Pass. Spring comes to Bongeunsa Temple. The QiRanger does Korean street food. Dale goes to Unsusa Temple. Yellow flowers and snowcapped peaks of Mt. 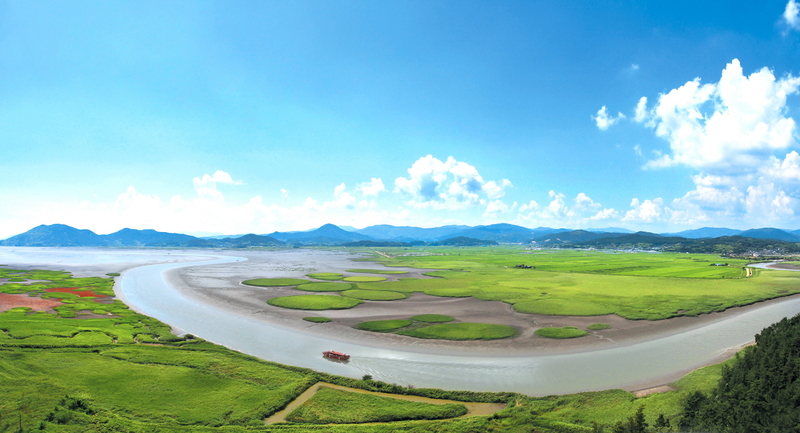 Jirisan. Korean hanbok design brand Jilkyungyee will be marking the Inter-Pacific Bar Association’s annual meeting in Seoul with a fashion show at the MBC historical drama set in Yongin on April 18 (8pm). Featuring the participation of 35 lawyers and their families from 13 nations, the show will help participants better understand the characteristics of Korean traditional clothing and how to wear them. The next day (11am, 2pm), Jilkyungyee will host a cultural experience program at its new hanok cultural hall, Mubongheon, in Samcheong-dong. Professor Liazzat Bonate will discuss her ongoing research on Islam in Mozambique, which she has been conducting for more than fifteen years. She argues that the unwarranted perceived marginality of Muslims in this region has stemmed from 1) history, especially of the Indian Ocean region of which Mozambique was not only an integral part but also a center of for more than seven centuries, and 2) Islam, which has been dominated by the Orientalist and Islamist search for the “true essence” and authority in Islam, resulting in the marginalization in the public sphere of the religious conceptions and practices that continued to be central to local life of the most global Muslim communities, including Mozambique. English boys choir Libera comes to Korea. With 40 members between the ages of seven and sixteen recruited from the London area, the group blends a variety of musical forms, including classical, Gregorian chant, and pop. GETTING THERE: Gwanghwamun Station, Line 5, Exits 1 & 8. Georges Rousse creates pieces whose beauty come from the crossover between the second and third dimensions. Hangaram Art Museum invites spectators to observe and feel “the flat and the cubic” and “reality and apparition” simultaneously, allowing for an interesting and peculiar experience. The three-day event is an annual film competition that brings together 10-minute shorts produced solely by the use of smartphones. The festival aims to encourage work from aspiring filmmakers and amateurs who don’t have access to the more expensive production equipment. Some candidates will use smartphone video editing apps, while others choose to use PC tools. During this excursion of Daehangno and Hyehwa-dong, the RAS-KB will look at a variety of styles of Korean architecture in the 20th century. The excursion will begin around Marronnier Park, which is where Seoul National University and its Japanese colonial forerunner, Gyeongseong Imperial University, were located. Several university buildings built during the colonial period still stand, including the former headquarters building, which was designed by Park Kil-yong (1898–1943), a noted Korean architect during the colonial period. The tour will then move through Hyehwa-dong and Seongbuk-dong, stopping by fascinating pieces of historical architecture along the way. 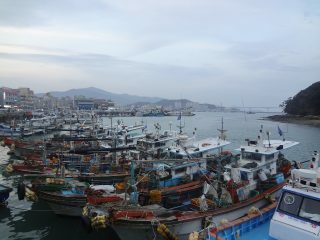 Wando Harbour in the far south of Korea. Photo by Arnab Sen.